During the summer of 1916, President Woodrow Wilson signed the act responsible for the creation of America’s National Park System. A whole new federal bureau was created and tasked with the responsibility of protecting the then only 35 national parks and monuments, and the promise to protect all future additions. Fast forward one hundred years, and the National Parks System is a vast network of dizzying diversity and majestic landscapes, monuments, and historical sites. While only 59 locations feature the words “National Park” in their official title, there are as many as 417 national parks, spreading over as many as 84 million acres across America. They event extend into other territories, including parks in Puerto Rico, The Virgin Islands, Guam, and American Samoa. In fact, the National Parks System recognizes up to 20 different types of national parks, ranging from battlefields, historic sites, scenic trails, monuments, and seashores, just to name a few. To celebrate our first one-hundred years of glorious national parks, the National Park Service has introduced Free Entrance Days. For ten days throughout 2017, admission to all national parks will be entirely free for every visitor. This includes entry fees, as well as transportation entrance fees, and commercial tours to most National Parks. 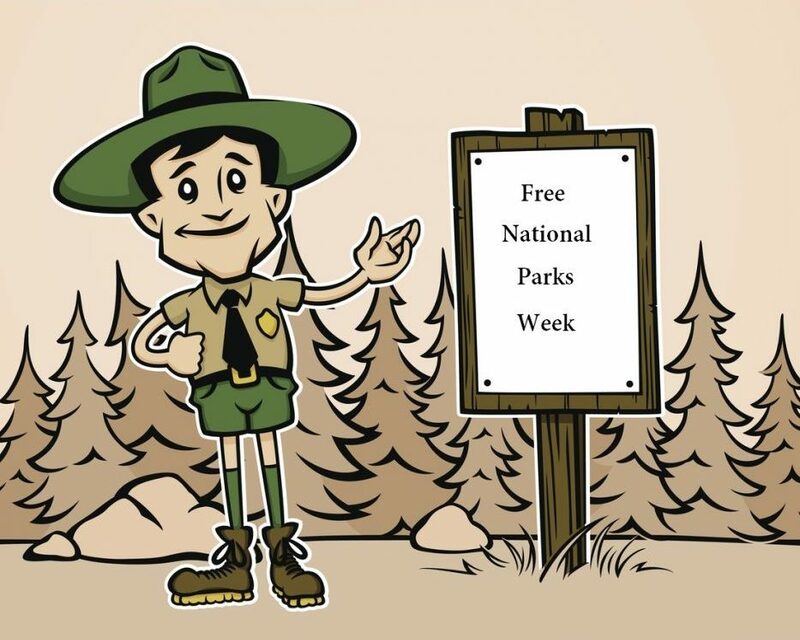 Free National Park week is a celebration of the history that backs the amazing traditions of our National Parks. All National Parks honor this celebration of national heritage for two weekends in April by offering completely free admission. With a diverse array of national parks in every state across this beautiful country, there is bound to be something for everyone. Whether you intend to enjoy a breathtaking view, or vividly absorb and experience history, you will find it all within the vast array of spellbinding national parks. Moreover, national parks are not merely destinations; they also provide several benefits to both native wildlife and landscapes. Serving as conservation and preservation sites, national parks are responsible for protecting the habitats and wellbeing of many types of animals, as well as preserving historical and cultural knowledge. Visiting national parks is a rewarding experience filled with discovery and appreciation for the worlds around us. America is proud to celebrate our best idea’s first one-hundred years and embark on our second century together. Pick up a vehicle from Hendrick Honda Bradenton and drive out to the National Park nearest you!